Windows tend to have funny names that aren't inherently meaningful. We can easily visualize a garage door and know that it's different from a sliding glass door. But common window terms, like slider, casement and single-hung, tell us very little unless we already know something about windows. Double-hung is a prime example. Few people know what this means even though it, along with single-hung, describes the most classic type of window in the history of home building. A double-hung window has two moveable sashes that slide up and down. Both single-hung and double-hung windows tend to be classic, rectangular windows that often have divided panes (or, technically, divided lights), though this isn't mandatory. Both also have a lower sash that slides up to open the window. Where they differ is that on a single-hung window, only the lower sash moves; the upper sash is fixed. 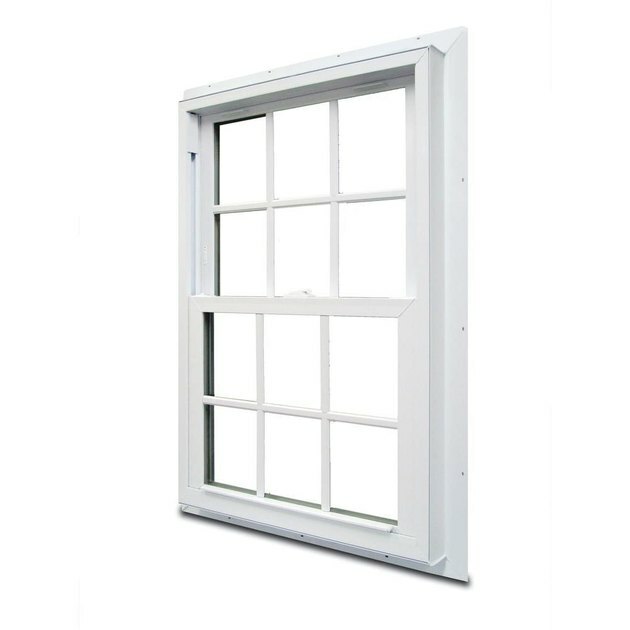 On a double-hung window, the upper sash can slide down, independent of the lower sash. Double- and single-hung windows have a traditional look and are found on countless Colonials, Victorians, bungalows and any modern homes with traditional styling. The most classic examples have small panes set into a grid of muntin bars, but many have single-pane sashes, and there are modern-style versions with rectangular panes divided by a single horizontal muntin. Most divided-light windows today have a single large pane covered with a decorative muntin grid that simulates the look of divided lights. Craftsman homes commonly feature distinctive double-hung windows with a large single-pane lower sash and a divided-light upper sash. In the days before air conditioning turned houses into sealed, refrigerated boxes, fresh air was key to keeping cool indoors. Double-hung windows were favored over single-hung because double-hungs are self-ventilating. If you open each of the upper and lower sashes about halfway, warm indoor air will flow out through the upper opening, causing fresh air to be pulled in through the lower opening, thanks to natural air convection. In reality, the effect is pretty subtle, but it does create more airflow than a single open sash (assuming there's no breeze to drive the air in). Opening both sashes of a double-hung window promotes air circulation, even with one window in the room. The two sashes of a double-hung window slide up and down along channels at the sides of the window frame. On older windows, the channels are created with strips of wood called stops. Very old windows have ropes that connect to the sashes and run up and over pulleys (wheels) at the top of the frame. The ropes extend down into pockets inside the frame and connect to weights that support the sashes in the open position and counterbalance them to make opening and closing easier. A later generation of double-hung windows include metal tubes containing long springs in the sash channels. The springs support the weight of the sashes. The advent of vinyl windows led to a different channel system that allows the sashes to be tilted out of the frame for easy cleaning. 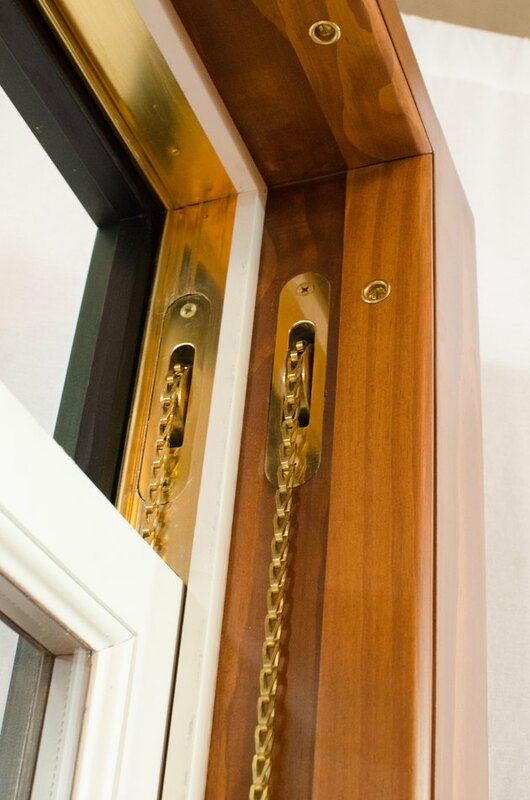 These typically have channels on the sides of the sashes, while the window frame has spring-tensioned tracks that fit into the channels. There are many variations of this basic design. Most new double-hung windows include tilt-out sashes. All types of windows have their weaknesses. With double-hung windows, new and old, most problems are related to the movable sashes. The challenge with anything movable is keeping a nice, tight seal (to keep out air) while allowing for easy movement. Over time, the sashes don't seal so well, and the windows become drafty. This is particularly pronounced with old wood windows, in which wear and wood shrinkage and drying can result in sashes that actually rattle when the wind blows. The solution for drafty old wood windows is to add weatherstripping to tighten up the sashes and seal the gaps between the sashes and the stops as well as where the two sashes meet. With newer windows, drafts may be caused by poorly fitting sashes or misshapen plastic frame or sash parts. Self-adhesive weatherstripping can help in some cases; otherwise, it's best to consult the window manufacturer for recommendations. Drafty windows of any type also may be due to air leakage around the window frame. This can be corrected with exterior caulk and, in some cases, insulating around the window frame, behind the interior window trim. Non-expanding spray foam usually is best for this job. 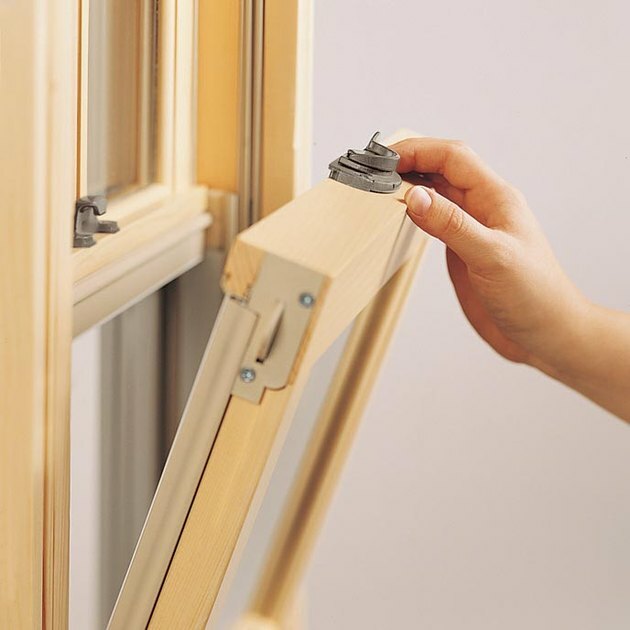 If double-hung windows stick or don't move smoothly, the sash channels may need lubrication (such as wax) and/or the tension mechanism may need adjustment. Sashes that won't stay open need tension adjustment, or, if they have sash weights, the ropes may have broken and need replacement. All of these repairs are fairly straightforward and can be made by homeowners, once they understand how their windows operate. Some old double-hung windows have chains instead of ropes supporting the sash weights.